How To Effectively Calculate Your Localization Budget? You can only imagine how many times we get asked by people about the most effective way to calculate the localization budget, without us actually having any access to what they want to translate. From a client’s perspective, it is absolutely a valid question, as they would like to get some estimates, based either on the type of their content or the amount of content they want to translate. Regardless of what you want to translate, you need to be aware of the various options you have at your disposal. That’s why in this blog we will explain how to calculate a localization budget. Our first recommendation is to define what you actually want to translate, using the guidelines you can find here. Once you have decided on the content, who will translate it, and how, you can actually start calculating your localization budget. Let’s take an actual example to define the equation you should use. For the sake of this argument, let’s say that you have a website, similar to our own. You want to localize the homepage, you want to outsource it to us, and you want to translate it using machine translation and human review approach. You either know the number of words you want to localize on your homepage, or you use our website crawler to automatically get the number of words for translation. To simplify the calculation, let’s say that our homepage contains 700 words. Most pages on most websites will contain between 500 and 700 words on average, so you can use this as a guideline as well. What you need to do next is to find out about a rate per word for the target language you are translating into. This strictly depends on the language combination, but since this is a hypothetical project, we want to simplify the calculation. Let’s say that the cost-per-word rate is 0,1 EUR per word. This gives us the two main variables we need to calculate the localization budget. In our example, this would be 700 words x 0,1 EUR per word, making it 70 EUR. Of course, this is a very simplified calculation, as we can add more factors which will influence the price of the website translation project. The first factor is the number of repetitions on a website. Depending on the type of website, the number of repetitions can range from 20%-30%, like on our website, to more than 90%, on e-commerce websites. 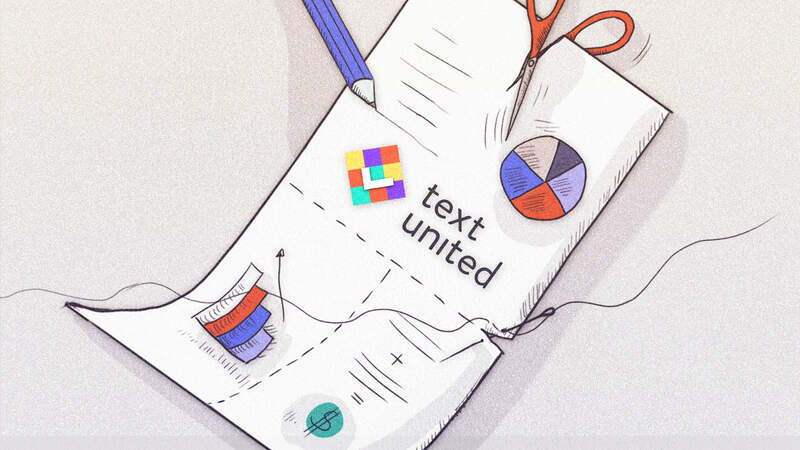 Repetitions are not charged in projects outsourced to Text United, so 25% of the number of words should not be included in the calculation. It brings the costs of the website translation project down to 52,5 EUR, in our hypothetical case. Another factor is the fact that human review of machine-translated content is usually around 40% cheaper than the full human translation. This is especially true for the most popular languages, such as English, German, Spanish, Italian and French. Translators of less popular languages like Hungarian and Finnish might not be too happy about lowering their rates in order to review machine-translated content, so always check if this is true for your target language. With all of the above factors in mind, we would hypothetically need to spend 31,5 EUR to localize our homepage. This is a huge drop from the initial 70 EUR we calculated using the basic calculation method. Calculating the localization budget: does the universal approach exist? One of the main reasons why discussing the final rates for translation services can be futile is the fact that the universal approach simply doesn’t exist. First of all, you have to examine the content to be translated with a translation approach in mind. Once we have the basic details, we can start entering the numbers into the localization budget calculator and talk numbers. If this all sounds complicated, we have to say that it’s actually not, if you have the files at hand. You can upload the files to our system and get an automated price calculation, based on some very rough estimates. If you would like to see the numbers drop, as your localization budget is limited, reach out to us, and we will help you find the best way to localize your content. As you could see above, minor changes can influence the final costs significantly, even up to 50%-60%. We will be glad to help you any way we can, and we will make sure that your content is translated properly, without breaking your bank!